Ready for the camping season? Our Keystone Cougar Travel Trailer for sale is the perfect RV for families! 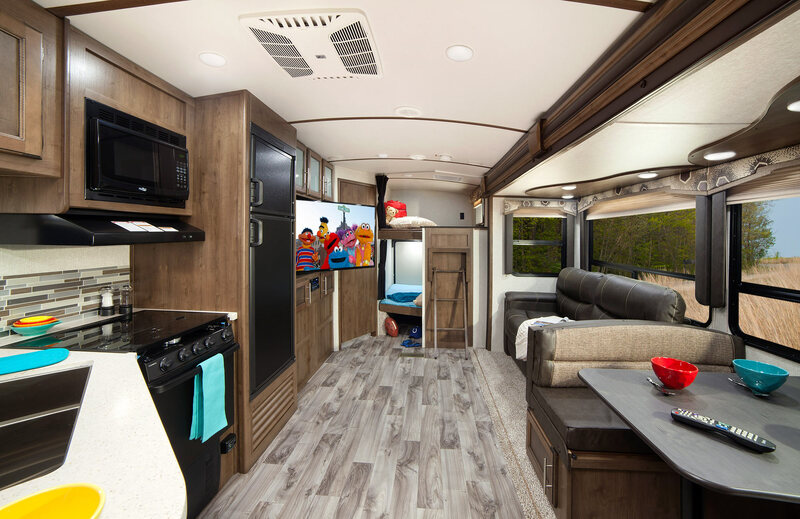 Keystone did an awesome job designing a travel trailer that perfectly balances the lightweight towability and the amenities that we love. Let’s take a look at the Keystone RV Cougar Travel Trailer Review together! 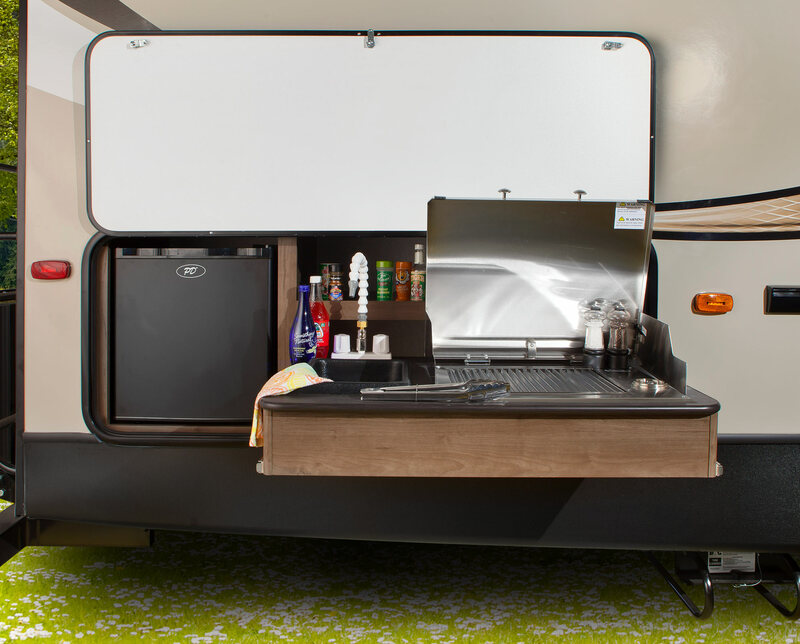 You are sure to enjoy the capital grill and mini refrigerator while you’re hanging outside with your family, and the ground control and power jack will come in handy when setting up. Not to mention the lightweight part of the exterior, which is popular on the RV market right now, as you can tow with SUVs and smaller trucks. The interior is absolutely gorgeous, and just as Keystone promises, the Cougar provides luxurious features that you will fall in love with. 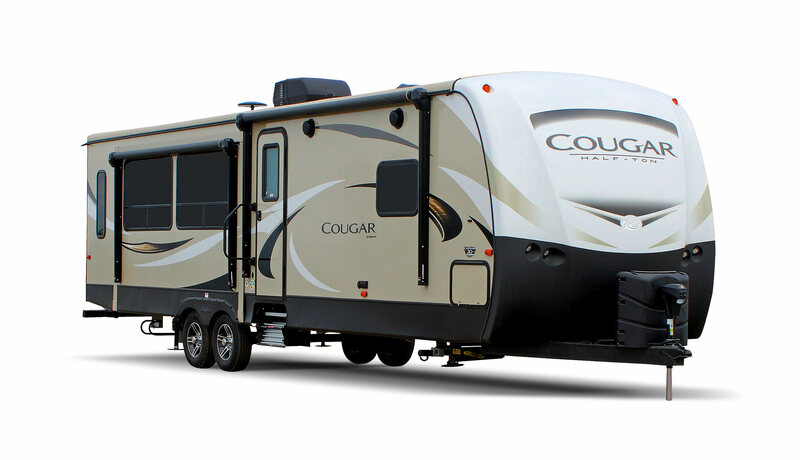 One of the great things about the Cougar is the different Keystone RV Cougar packages that it offers. And to see them all laid out, check out the Cougar floorplans. We believe you’ll have a hard time picking just one out, as they’re all beautifully designed for large storage and great amenities. And that is just the Camping in Style Package, so be sure to take a look at all of them before choosing which one you want. If you have any questions regarding our Keystone RV Cougar Travel Trailer for sale, contact us today. We love being able to connect with our customers, so please don’t hesitate to call or email. Happy Camping!